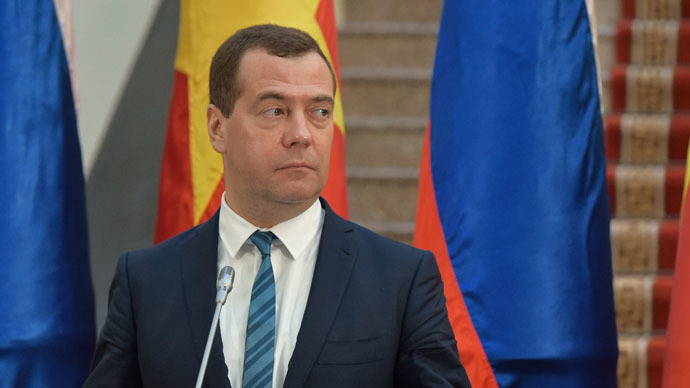 Russia and Vietnam should start using their domestic currencies in bilateral trade more actively , Russian Prime Minister Dmitry Medvedev has said. “Certainly, it’s necessary to think of using non-standard forms of cooperation and financial interaction, including, for example, settlements in local currencies, rubles and dongs,”Medvedev said during a meeting with businessmen in Vietnam’s largest city of Ho Chi Minh City, formerly Saigon. The prime minister recalled that Russia had a similar experience with other countries in the Asia-Pacific region, and that 10 years ago the Vietnamese-Russian bank was created. "We should think how to boost the work of the bank", Medevedev said. Proposals for the transition to national currencies in trade between Russia and Vietnam should be ready in May, Andrey Kostin, the CEO of Russia’s second biggest bank, VTB, said in Vietnam. Joint Russian-Vietnamese companies could do at least 50 percent of their trade in local currencies, Kostin added. The head of VTB said the two countries agreed to step up cooperation and increase the potential of VTB’s subsidiary in Vietnam - Vietnam-Russia Joint Venture Bank. It will act as a key bank for export-import operations between the two countries, according to VTB. "The bank [Vietnam-Russia Joint Venture Bank - Ed.] is well-capitalized today, but its possibilities are not widely used… I believe that these joint ventures that operate here, could put 50 percent of their turnover through the bank,” the head of Russia’s VTB said. On Monday, Medvedev said that a free trade zone deal with the Russia-led Eurasian Economic Union was in the “home stretch,” adding that the final deal is expected to be signed by July. The prime minister stressed that the draft document included significant preferences for Vietnam. Medvedev has been in Vietnam since Monday, when he began a two-day official state visit to the country. The two sides confirmed their plans to boost bilateral trade in the next five years to $10 billion. They also guaranteed the development of Vietnamese and Russian offshore oil and gas projects. On Monday, Russia’s Gazprom Neft and the Oil and Gas Corporation of Vietnam signed a memorandum of understanding to acquire a 49 percent share of Vietnam’s Binh Son Refining and Petrochemicals. In total, Russia and Vietnam signed 17 priority projects for 2015 including the supply of equipment for Vietnamese power plants, construction and technology upgrades for enterprises and the creation of industrial clusters.